Is 2019 going to be the year where random people fall asleep and wake up as celebrities? I hope so, I really need that kind of high octane excitement in my life right now. Regular celebrities are becoming dull and predictable, I need ones who go to sleep as regular people and wake up as heroes! 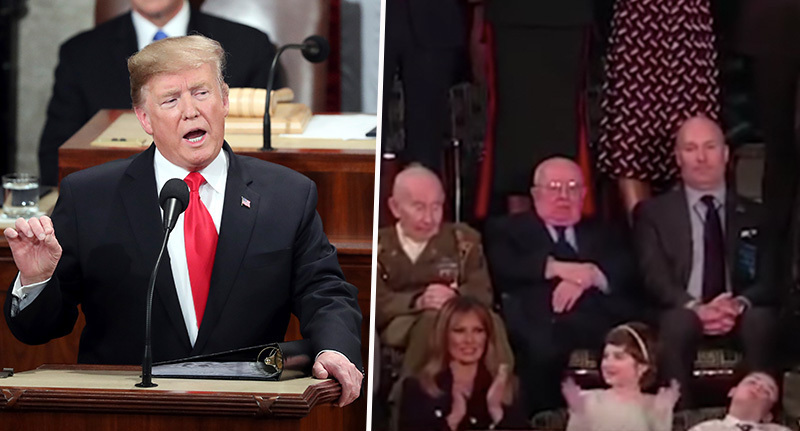 The latest addition to this elite club is 11-year-old Joshua Trump (no relation), who fell asleep during his namesake’s State of the Union speech, and woke up a hero to anti-Trumpers the world over. Melania Trump had invited Joshua, a middle-school student from Delaware, to the president’s address as part of her anti-bullying campaign. Joshua had recently dropped out of school after he was bullied because of his last name, The Guardian reports. However, while cameras panned across the audience as Trump (the president) spoke about building his wall along the US-Mexico border, Joshua Trump was spotted slouched down in his chair and fast asleep. Naturally, the exciting moment during the president’s speech didn’t go unnoticed, and screenshots flew around the internet quicker than you can say covfefe. Joshua Trump is a Trump I can get behind. Thousands of kids bullied every year. For being a different race. I feel AWFUL for Joshua Trump, and he deserves NO AMOUNT of bullying, but it says a lot that he is the one kid Donald and Melania want to highlight as a bullying victim. Joshua was one of 13 people to receive such an invitation to the address, from the president and the first lady. Meanwhile, another aspirational ‘fall asleep wake up a hero’ person (or FAWUAH, if you will), was a 36-year-old guy called Jesse. 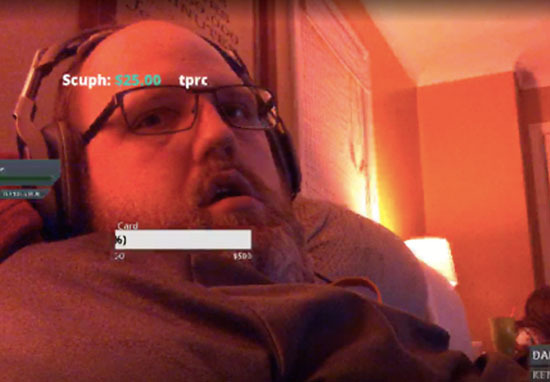 Jesse accidentally dozed off while live streaming himself on Twitch. Three hours later, he woke up to more than 200 people watching him, and even saw some monetary donations had been made to his account. Yes you are, Jesse, as are you, Joshua Trump. Welcome to the modern world of celebrity. Not everyone can do what you can, not everyone is a FAWUAH, so please use your newfound fame responsibly.